In the United Nations Framework Convention on Climate Change (UNFCCC) process, all countries have obligations to report on their actions to address climate change and its impacts and to take part in review processes that consider the information Parties provide. The Paris Agreement establishes an enhanced transparency framework that will build on this system of reporting and review. Least Developed Country (LDC) Parties alongside all other Parties will have new reporting obligations to consider under the enhanced transparency framework which will have a more comprehensive approach to transparency around climate action and support to enable those actions. 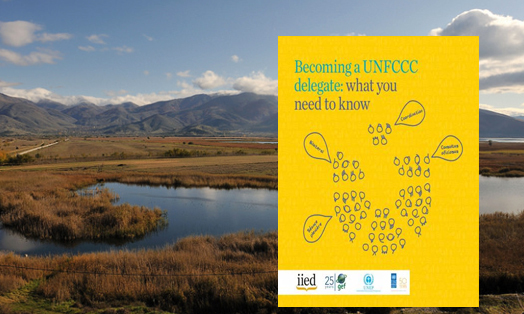 This guide provides practical information to help prepare various reports and communications under the UNFCCC as well as take part in the relevant review processes. 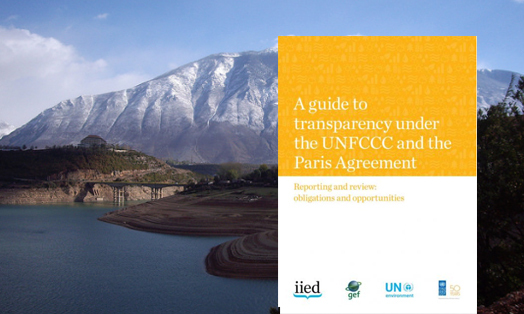 It also provides a glimpse into the on going negotiations to develop the enhanced transparency framework under the Paris Agreement and some of the implications for those preparing reports and communications for their countries. The impacts of climate change increasingly threaten communities around the world, particularly in Least Developed Countries (LDCs). 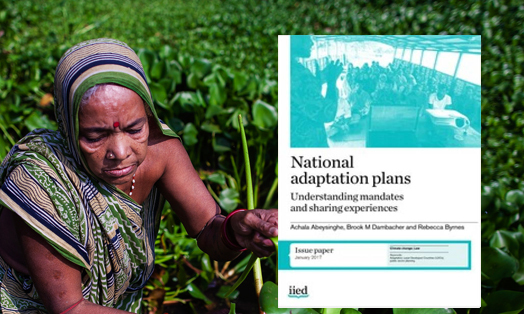 National adaptation plans (NAPs) allow developing countries to identify their adaptation needs; develop and implement strategies and programmes to address those needs; and enable actions to protect vulnerable communities. But developing a NAP is not always straightforward. This paper considers the benefits and challenges of implementing a national mandate to provide the impetus to develop a NAP, assign responsibilities and encourage cross-sectoral participation, exploring the legal forms such a mandate could take and sharing experiences from LDCs undergoing the NAP process. Attending UN climate negotiations for the first time is daunting, especially if it is a Conference of the Parties (COP) session. With so many meetings happening in parallel and using unfamiliar jargon and acronyms, the United Nations Framework Convention on Climate Change (UNFCCC) process is notoriously complex. This toolkit will help new delegates, in particular from the Least Developed Countries, navigate the session. It focuses on the process, rather than the content of negotiations, and offers some practical tips for getting through the days (and nights). 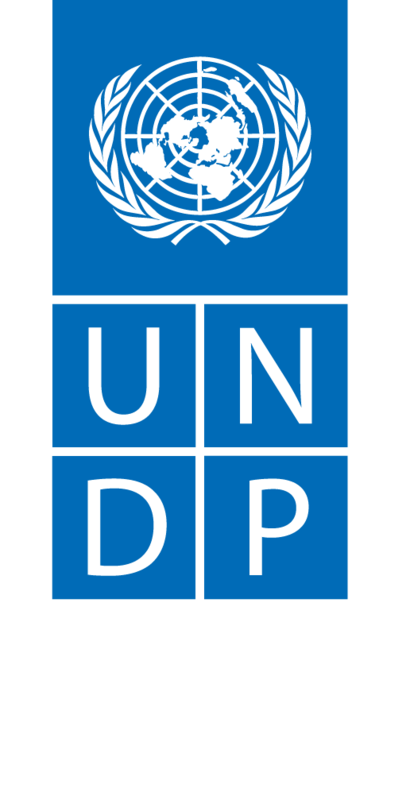 The Least Developed Countries (LDCs) represent 48 of the 197 parties to the United Nations Framework Convention on Climate Change (UNFCCC). Not only are they the world’s poorest economies, they are extremely vulnerable to the impacts of climate change. Since 2001, they have acted together as the LDC Group in UNFCCC negotiations. But as well as providing assistance, this has aggregated individual country experiences, opinions and interests, creating challenges, particularly when trying to remedy individual countries’ struggles to participate, monitor and implement decisions back home. 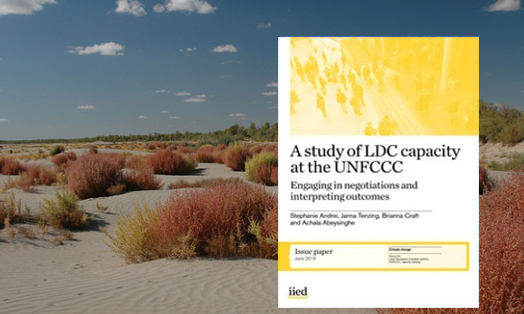 This paper aims to address this disconnect by analysing LDC feedback on how they prepare, analyse, report and disseminate information on the UNFCCC negotiations. At the end of 2015, the 196 parties to the United Nations Framework Convention on Climate Change (UNFCCC) gathered in Paris for the 21st session of the Conference of the Parties (COP21). On 12 December, they adopted the Paris Agreement, contained in Decision 1/CP.21. Marking the successful end to negotiations that started at COP17 in Durban four years earlier, the agreement is an important milestone for the poorest members of the international community. 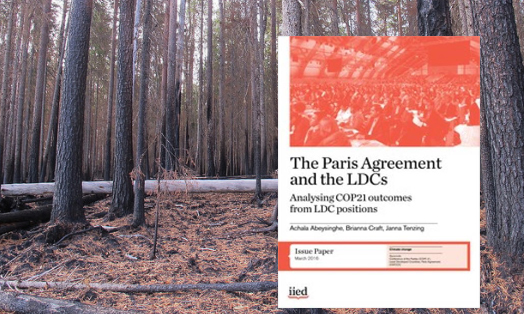 This paper provides an analysis of the Paris Agreement and the relevant sections of Decision 1/CP.21 that give effect to the agreement, based on the positions of the 48 Least Developed Countries. The French version of this paper is available here.